After crossing Blue Bridge, where we ended the previous page, I continued on from the confluence back towards town via the short length of towpath alongside the other side of the Foss, towards Castle Mills Bridge. This area is known as the Foss Basin. Again, as on previous pages, I find myself thinking about names, and looking at signs. Before we ponder the names and the signs, a couple of ‘then and now’ views. Not going back many decades, just the one decade, to begin with. 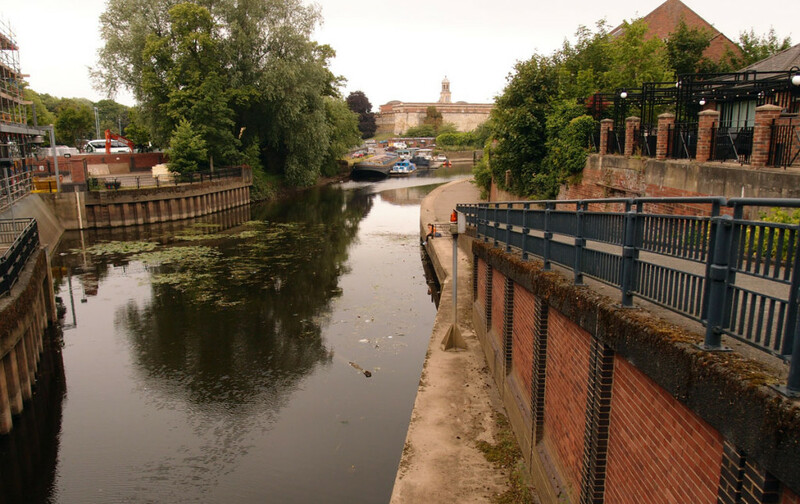 Ten years ago, in July 2007, I went for one of my exploratory/photographic wanders and ended up here in the Foss Basin, taking a few photos, including this one, from the side of the Foss Barrier, towards the Castle Museum buildings in the distance. No vessels moored here, in mid-July 2007. This may have been because of the high river levels and flooding in summer 2007. There are several men fishing, from the walkway on the right. I revisited this July, ten years on, not quite to the day, but as near as I could manage. There are bits of fencing up around the Foss Barrier structures to the left, because of the work to upgrade it. Here in the Foss Basin in 2017 several vessels are moored, including Selby Tony, aka the Arts Barge. No fishermen fishing, or at least not on the day I visited. There’s more greenery, from this viewpoint — the trees/shrubs have grown, most obviously. Looking at images taken ten years apart in the same place prompts the question: what might the place look like ten years on from now? My Future York used the ten year period to encourage us to think ahead in a creative way, in a utopian kind of way. 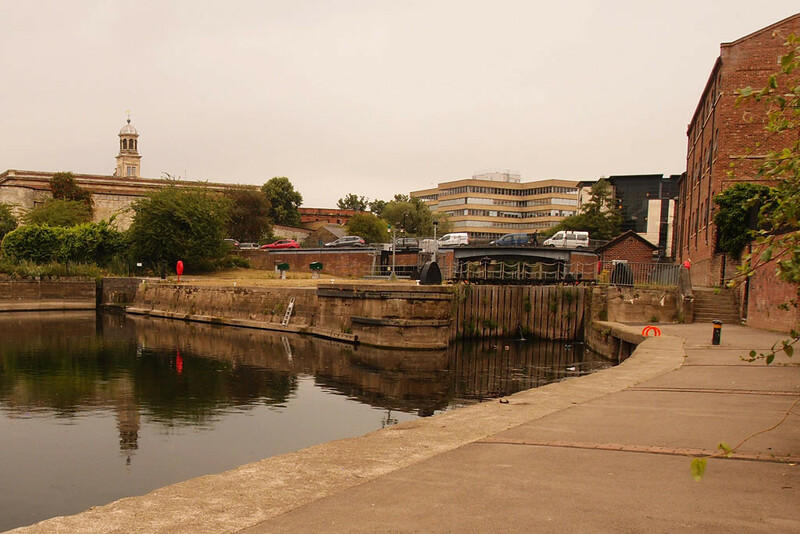 The My Castle Gateway consultation, currently gathering ideas, focuses on this particular part of York, an interconnected series of places now under the umbrella of ‘Castle Gateway’, of which the Foss Basin is a part. And here’s the 2017 view. 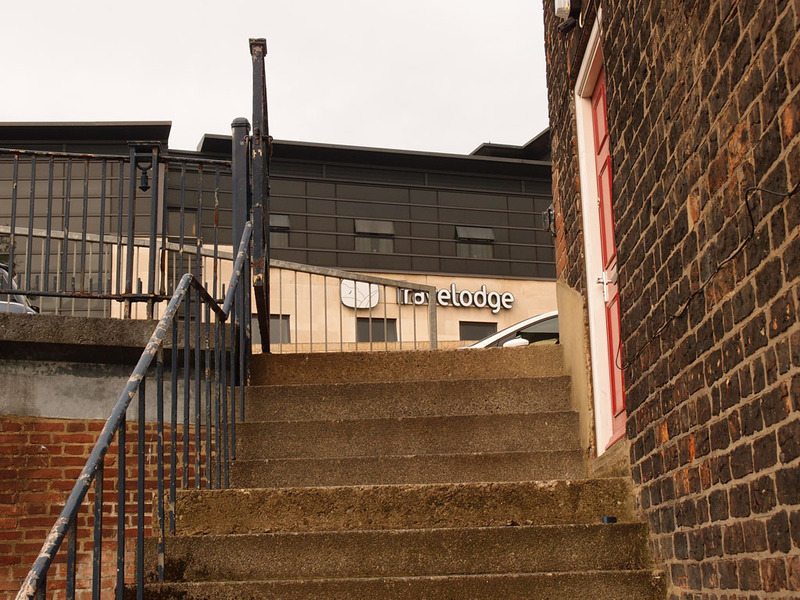 Ryedale House on Piccadilly is rather prominent, behind Castle Mills bridge. Castle Mills Bridge offers another good vantage point over the Foss Basin. Here’s another of my photos from July 2007. At this end of things, the 2017 views seem less green than the 2007 ones. 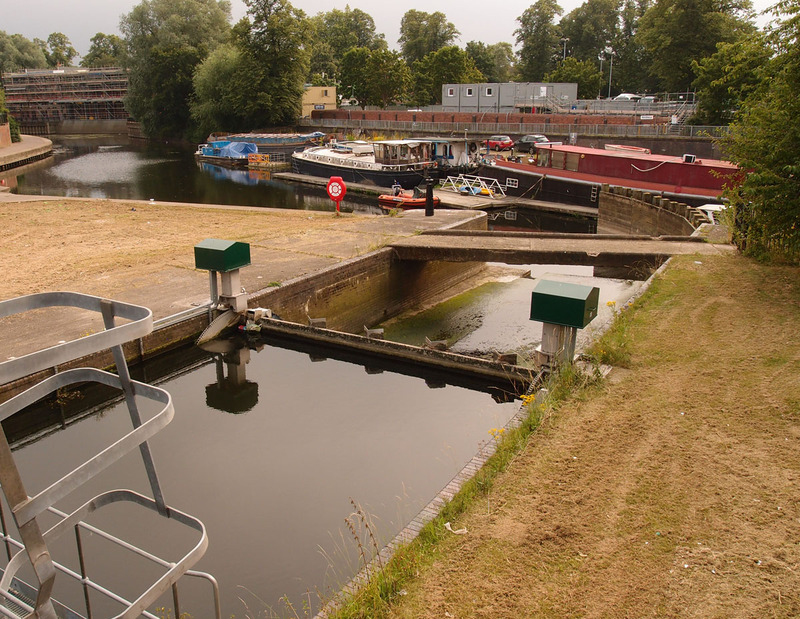 In the background is the scaffolding and other structures connected with the Foss Barrier upgrade. The most obvious thing is that the basin seems busier with barges and other vessels. Still quiet though, hardly anyone around. This time I paid more attention to the details. A highlight was again the wildlife, swans and their cygnets this time. 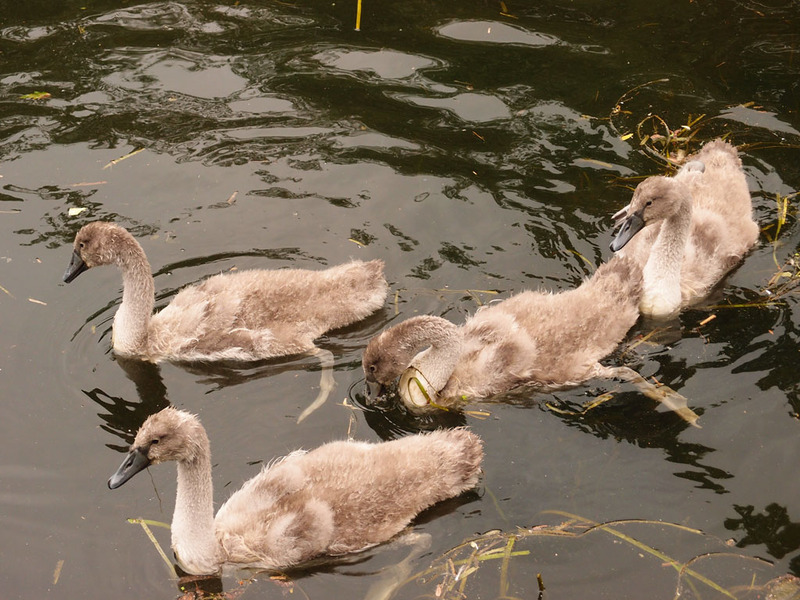 The cygnets approached with low excited cheeps, then drifted off again, towards the confluence. 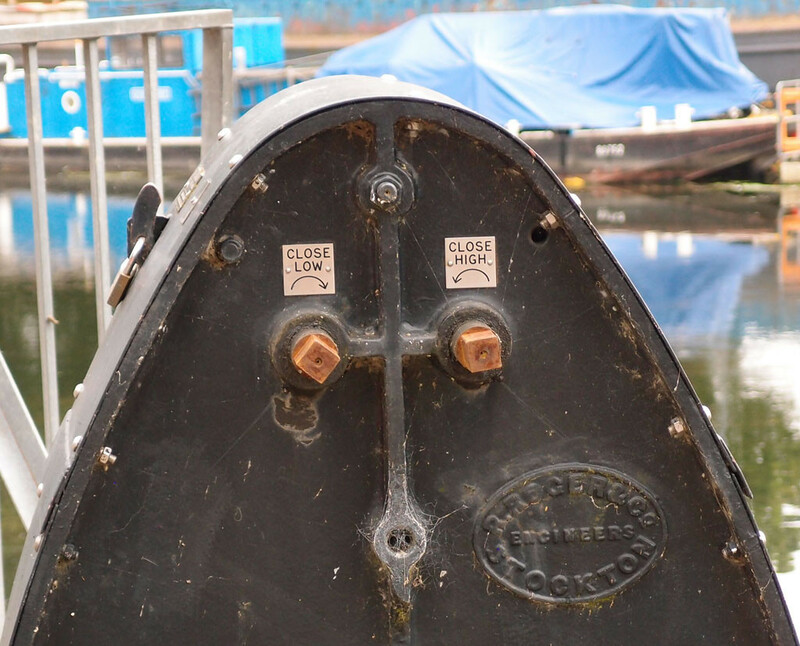 I wondered how long the term ‘Foss Basin’ has been in use. It sounds comparatively modern. 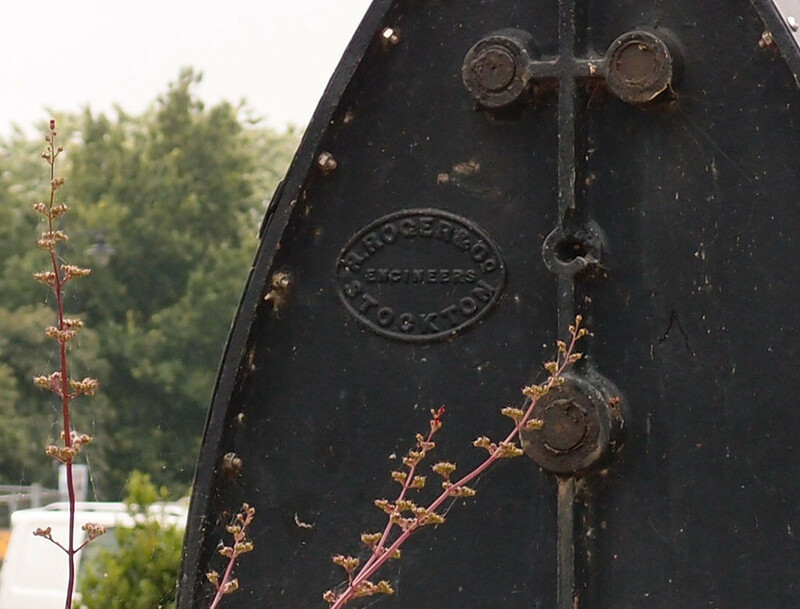 In a book published in 1911 Thomas Parsons Cooper mentions it as ‘the pool which we to-day designate the Foss Basin’. When the name came into use it’s hard to tell, but it doesn’t say much about the history of the place, and sounds rather drab. Castle Mills, on the other hand, does serve to remind us of structures that once were here, by the banks of the Foss. 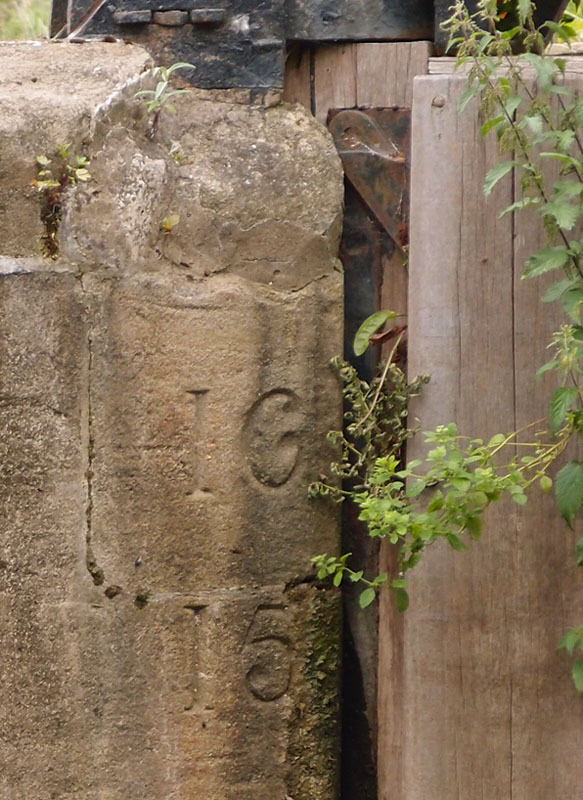 Though hard to imagine all that now, with the traffic rushing by, up on Castle Mills Bridge. There’s another evocative name here, on a sign on the wall by the steps down from Castle Mills Bridge. It’s a lovely old name, isn’t it. I wanted to find out more about ‘Brownie Dyke’, but couldn’t find anything much from an online search, until I tried a different spelling. Searching for ‘Browney Dyke’ unlocked it, and found a few references. The sign on the wall raises thoughts/questions about how careful we should be when adding official names to a place. 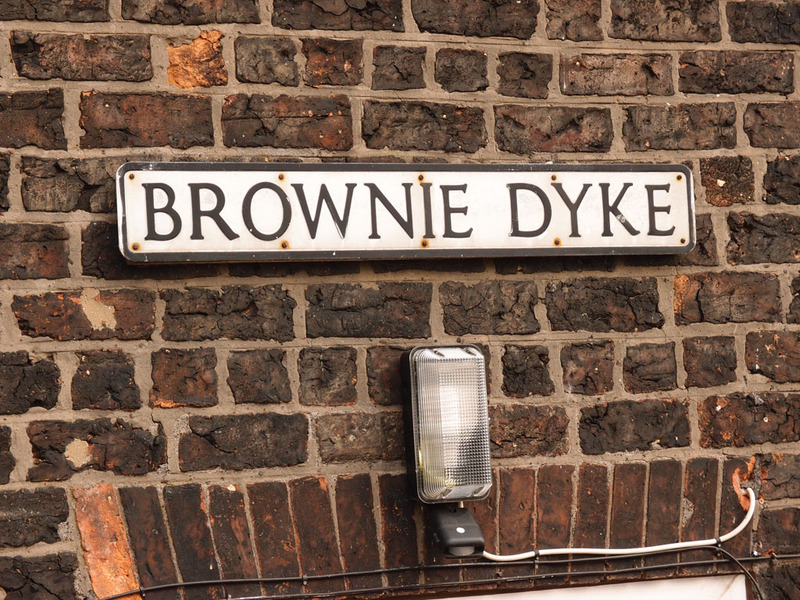 I wonder when the first official sign went up to denote ‘Brownie Dyke’, naming it with the ‘ie’ rather than ‘ey’. Perhaps if any new signs are added explaining the history of the place they could include this older variation of the spelling, to aid anyone researching. 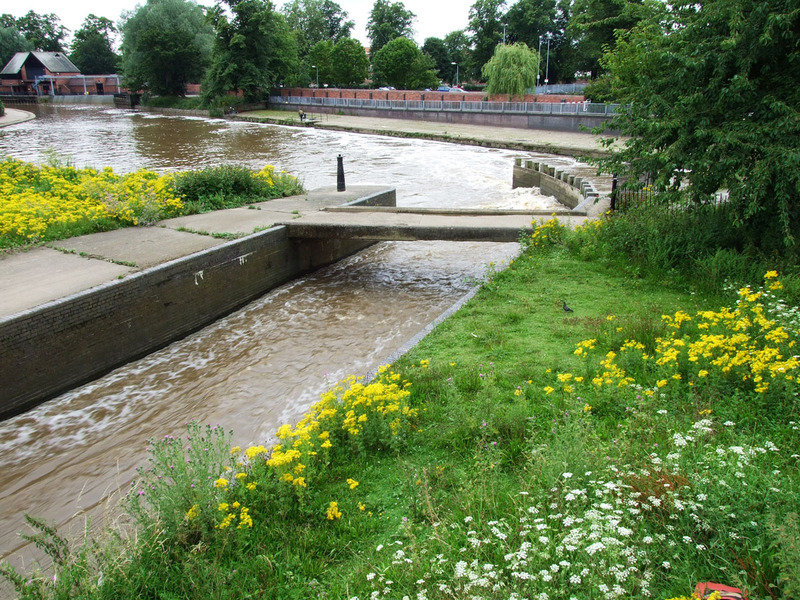 I realised, as part of my ponderings, that I don’t think I’ve ever walked all the way along the Brownie Dyke path alongside the Foss Basin until this recent visit in July 2017. 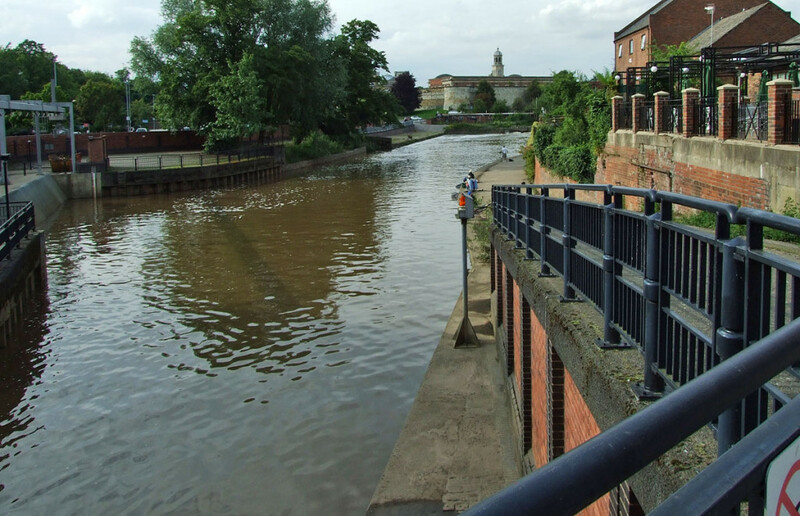 On the occasions I’ve been in this area I’ve approached it from the Blue Bridge end, rather than the busy traffic of town, and after going to the Foss Barrier to take photos of the view towards the Castle Museum I’d backtrack to Blue Bridge and use the riverside path by the Ouse, past Tower Gardens, to get back into town. This seemed to make more sense than climbing the steps by Castle Mills bridge at ‘Brownie Dyke’, which only takes you onto a road that is usually too busy to cross safely. Castle Mills bridge has been rebuilt several times. This one is rather dull. 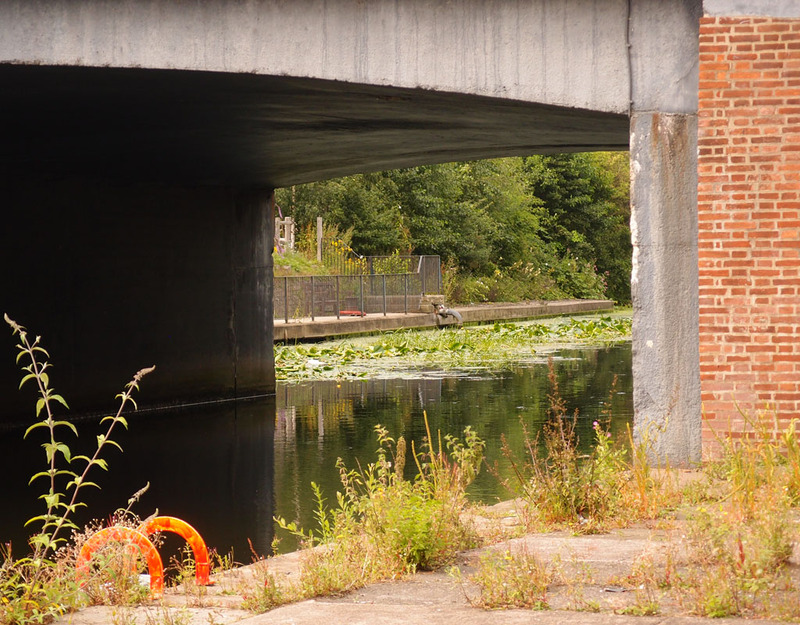 Not much of interest in the construction of the present bridge here, but I was struck by this enticing view under it. Framed by the bridge, the opposite bank on the other side of the bridge looked attractive, with a small section of riverside path, and all that pleasing greenery. 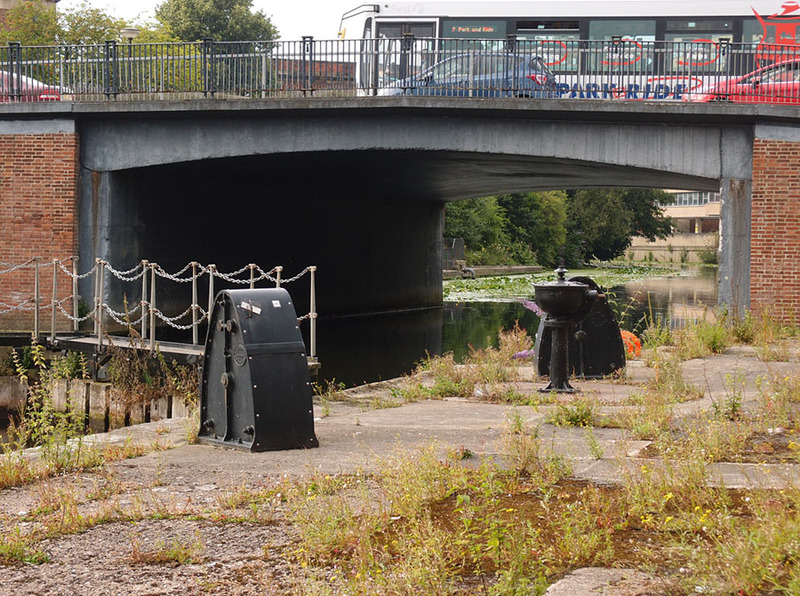 Plans for the Castle Gateway area might include new extended riverside access here. It’s an idea many people are keen on. It would indeed be nice to be able to go under the bridge rather than over it into the traffic. 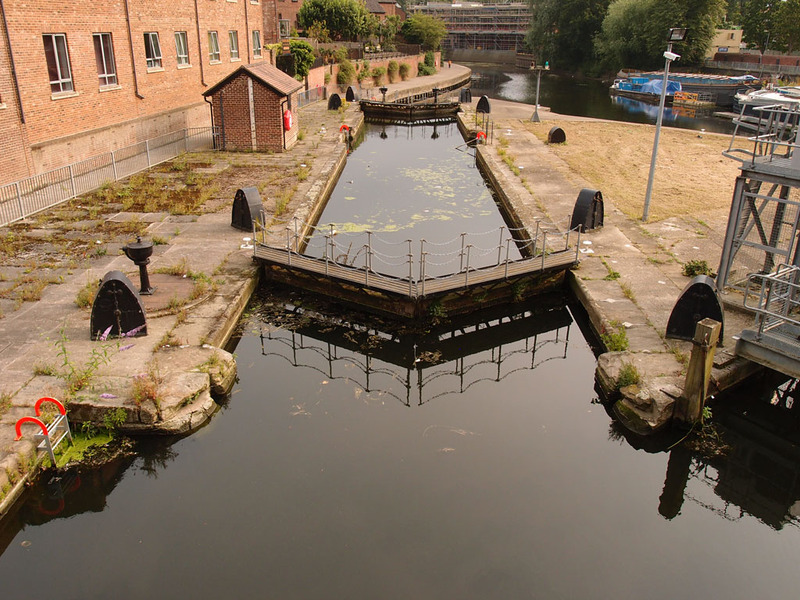 But we are going over it, for the next page, as we head for a small bit of land on the other side of Castle Mills lock. 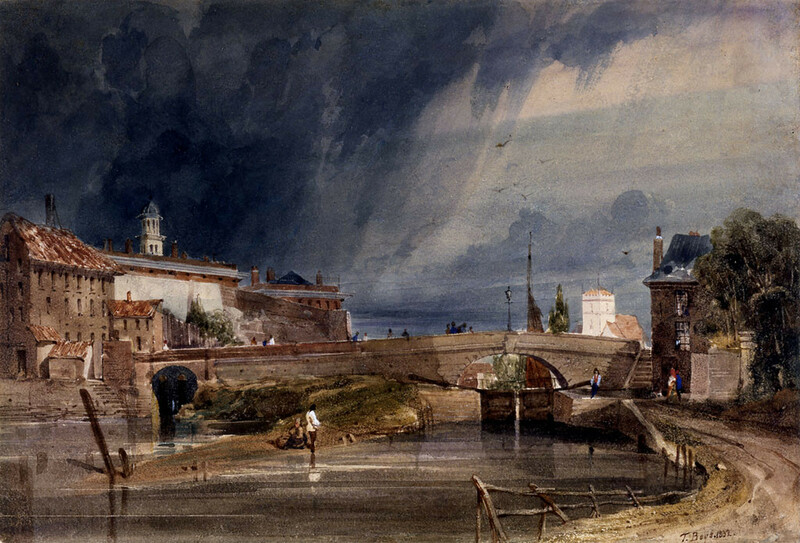 For notifications of new pages appearing here on York Stories join the mailing list or follow me on Twitter. Blue bridge is it still operational or now in a fixed position. I saw it working many many years ago. Thanks. We went on a river cleanup (litter picking day) with the River Foss Society and got to work on boat moored up on Foss Islands Road. 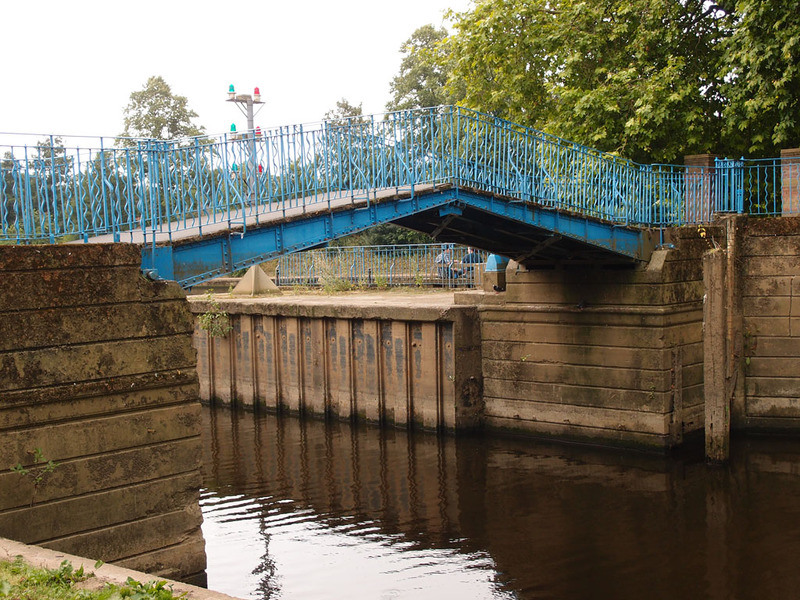 Plus cross the normally locked bridge across to Kings Pool. I hope the enterprising people renting canoes do well – you get a very different view from the river – which imo needs recognising as a community asset. Funnily enough I bumped into a group from Castlegate project near Sainsburys roundabout the other day. Now that is an area which with addition few benches /picnic tables/lighting and some planting and possibly tree pruning which could be more used. And there is some great history there so perhaps an information board with photos of old gasworks – you can still see bridge supports from river. Also something to recognise the thriving communities off Foss like around Layerthorpe which covered on this website so well. I think if concentrate just on centre of town missing fact that people need to get in there in first place. If we could make the Foss more of a ‘corridor’ – but appreciate will take a lot of imagination and investment to do this. And I would also like to see people linger to enjoy Foss not just use it to get in and out town. If we value things as a community we look after them.